Property 12: Exotic apt. w/shared pool, near the beach and close to adventures! Property 23: Front of Caribbean Sea, beautiful apart. with pools & direct access to sea. 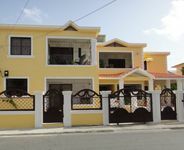 Property 35: Oasis in the Caribbean in Palmares de Caleta.